Yourstuff Presents Vega GO-STYLE 1200 (VHDH-18). 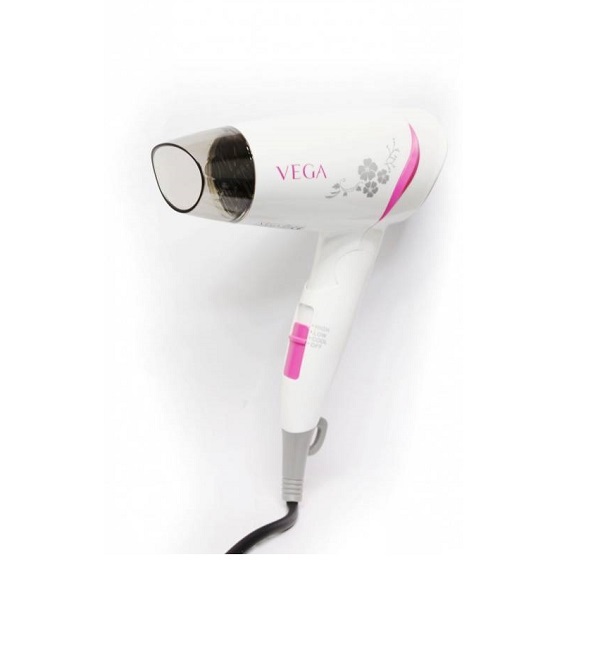 Look very best everything and get easy styling and drying with Vega Go-Style 1200 hair dryer. This dryer comes with 2 heat settings – Low heat setting for perfect gentle drying of slightly wet hair and high heat setting for fast drying of wet and thick hair. It also has 1 cool setting, to dry your hair at relatively low temperature, is a perfect setting to be used in summer. The dryer has a foldable handle that allows easy storage and makes it convenient to carry while travelling.